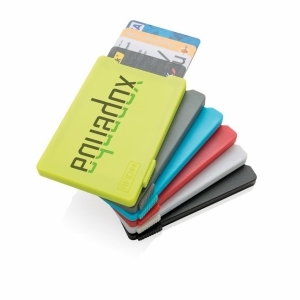 Rigid ID card holder manufactured in the UK from 100% recycled plastic. 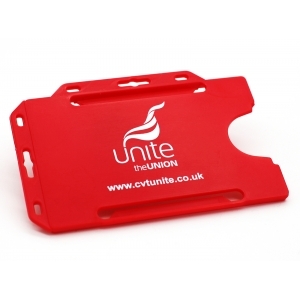 Large 65mm x 40mm print area on the reverse for your logo / brand name. 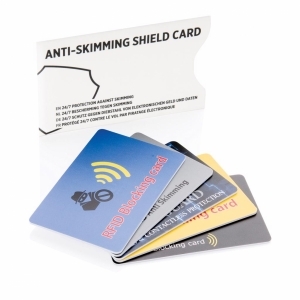 Product Size 95 x 65mm designed to fit a standard size 86mm x 54mm pvc card. Please note: prices are based on white plastic. Additional charges apply for colour plastics. 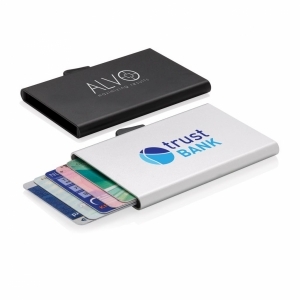 To order an unprinted ID Card Holder, please complete the details below.